HomeConcourse BlogFollow Gogo through your favorite social media platforms! On behalf of everyone here at Gogo, we’d like to thank all of the regular readers of our Concourse blog and Learning Center for staying up to date on the latest developments from our industry. For those of you who’d prefer to get their news even faster, consider following one of our social media channels below. 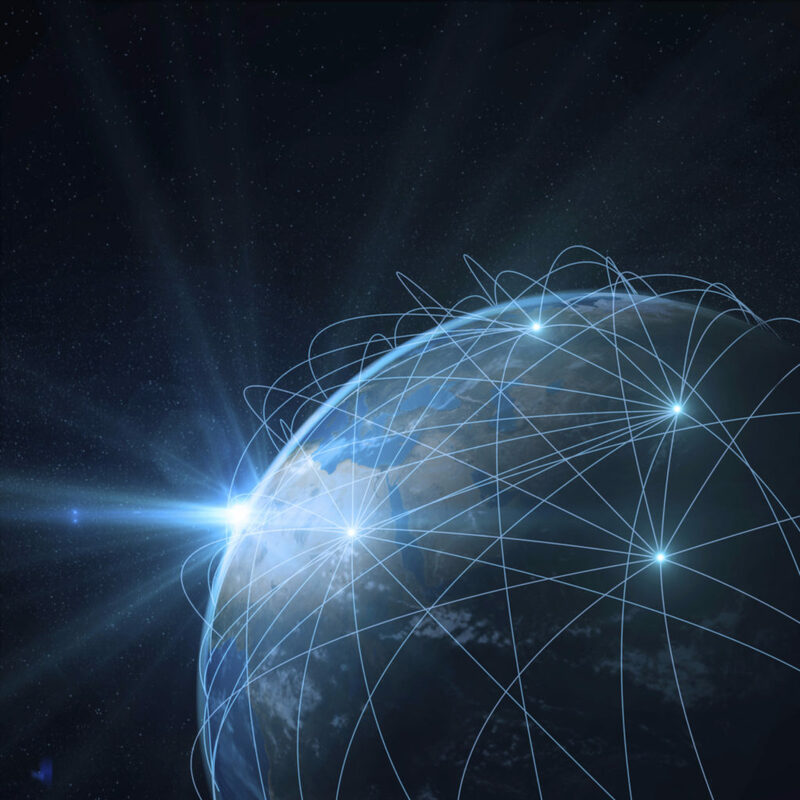 In addition to providing links to fantastic content, our Facebook and Twitter channels both offer 24/7 live customer care in English, French, Japanese, Portuguese and Spanish. Twitter is the first social media channel Gogo launched, way back in 2010. Since then, we’ve Tweeted over 45,000 times. The main purpose of our Twitter channel is to provide quick and efficient customer support. 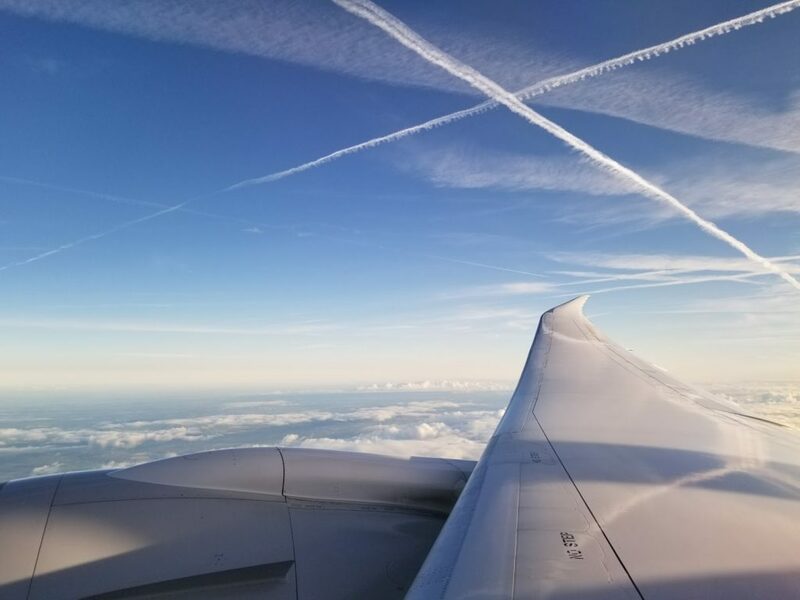 In addition to this, you’ll also find fun customer interactions, photos from customers taken around the world (usually from a Gogo equipped plane) and of course a good number of #DomeSpotting photos from our loyal fans. Finding us on Twitter is easy – our handle is simply @Gogo. As one of the first brands to get a 4-letter name on Facebook, we’ve taken full advantage of the many features found on Facebook Company pages. On our page, you’ll find links to news, entertaining photos, links to helpful stories around the web as well as links to news from our partner airlines. We do accept customer care inquiries on Facebook, but to protect customer privacy, we ask that you only use the dedicated messenger feature to chat with us. Our Facebook page is once again nice and easy to find: facebook.com/gogo. 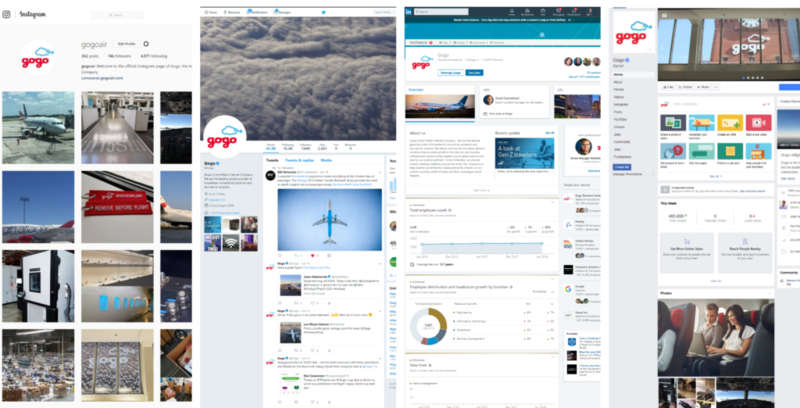 The Gogo company page on LinkedIn takes full advantage of the special features offered by LinkedIn as a platform: recruiting, in-depth articles and of course networking with Gogo employees and connecting with our vendors. Our LinkedIn company page is at Linkedin.com/company/gogo. The final channel in our lineup is also the prettiest – our Instagram channel is where 14,000 of our fans come to see (and share) the best photos from within the world of Gogo. This means incredible photos from our offices, our previous fleet of test aircraft, great equipment photos and of course, photos that are posted from 35,000 feet! Gogo’s Instagram page is at Instagram.com/gogoair. No matter what your favorite platform is, we’d love to earn your like, join or follow and any channel of your choice. Best of all, these channels all offer the ability for you to share with us – this could be as simple as a short message on Twitter to a fantastic photo we’re tagged in on Instagram. Thank you to all of our fans, and we hope to see you on your next flight, happily connected to your favorite social media application at 35,000 feet!